Site Recaps & Roundups AA Seat Roulette, Uber Scare, Ameriprise Amex Plat Devaluation & More! AA Seat Roulette, Uber Scare, Ameriprise Amex Plat Devaluation & More! 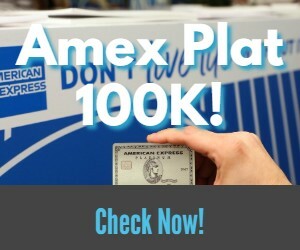 This week I discussed why I paid a ridiculously low amount to fly on a full service airline, we discussed the changes to the Ameriprise Amex Platinum, I covered Citi’s new website design, Mark talked about what he missed most, Sinemia added a cool new feature and much more! (Last Day!) Holy Cannoli!!! Companion Pass After Only $4K In Spend!?! Are Mercedes Benz Clawbacks Being Reinstated By American Express? (Updated) Sinemia Movie Plan Review: How Does it Compare to MoviePass? Special Offer: Get an Extra 10% Cashback on Already Discounted Gift Cards at Raise! Removing Negative eBay Feedback, Max Out New Dell Benefit, Time vs Cost & More! Previous articleCostco’s Profitable iTunes Gift Card Deal Returns for 2019!